Today the Juniors had an inspirational talk from author Cerrie Burnell. She discussed what made her become an author, what inspires her writing and gave the girls some ideas for their own story writing. Cerrie, who is well known as a much–loved TV presenter on CBeebies, is now an established children’s author with 10 published titles to her name. 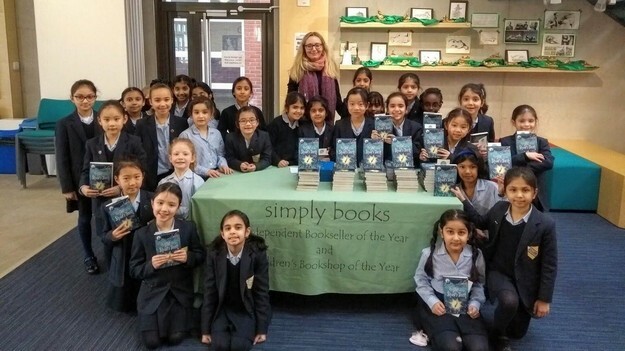 She told the girls all about her new book, The Girl with the Shark’s Teeth, which is a magical adventure story set in a world of pirates, mermaids and other mythical creatures. She inspired the girls to go on their own creative writing adventures by sharing her own inspiration and her top storytelling tips. The girls thoroughly enjoyed hearing extracts from the book read out by the author herself, as well as asking her questions and chatting about her life to date. Girls had the opportunity to buy some of Cerrie’s books and were delighted to have their own signed copies. Thank you Cerrie for such a great morning!